Report details how to improve nation’s aging roads and bridges, airports, seaports, and wastewater facilities while also generating hundreds of billions for currently unfunded infrastructure projects. A new Reason Foundation study finds asset recycling via long-term leases of America’s largest existing toll roads, bridges, airports, seaports, water and wastewater facilities, and university parking systems could generate $720 billion to $885 billion for state and local governments to spend on new infrastructure projects. The Reason Foundation study finds leasing the 61 largest U.S. airports to private partners could generate between $250 billion and $360 billion for state and local governments in gross upfront lease payments. Under the leases, the private companies would spend an estimated $100 billion on capital improvements over the first five years, bringing the total private-sector investment in airports to between $350 billion and $460 billion. As examples, the study cites Baltimore/Washington International Thurgood Marshall Airport (BWI), which it finds could generate between $1.6 billion and $2.3 billion in net lease proceeds (after paying off existing bonds), and Louisville International Airport (SDF), which could be leased for over $600 million in net lease proceeds. The 42 largest existing toll roads and bridges could generate $175 billion to $230 billion in gross upfront lease payments for state and local owners and would prompt another $10 billion in improvements during the first five years, according to the study. 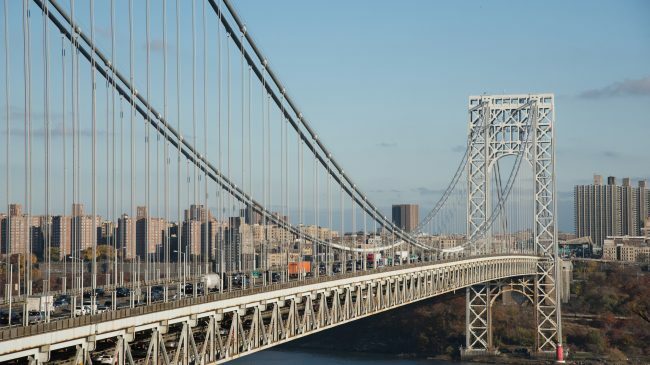 The George Washington Bridge connecting New York and New Jersey could yield between $10 billion and $17 billion in net lease payments, after debt repayment. Leasing the Illinois Tollway system could produce between $11 and $20 billion, and the Bay Area Toll Authority’s seven California-owned bridges could generate between $2 billion and $8 billion in net upfront lease payments. The nation’s ports could be leased for up to $50 billion and would produce an estimated $9 billion in capital improvements over the first five years. The study concludes leasing the Port of Houston could yield net proceeds of between $1 billion and $1.7 billion and the Port of Tampa Bay could generate up to $272 million net, after debt payoff. The report also estimates that $110 billion could be generated by leasing aging water and wastewater systems around the country. An additional estimated $60 billion worth of much-needed improvements would be undertaken by the private partners, bringing the total private sector investment value to around $170 billion. The Las Vegas Valley Water District lease could yield up to $729 million in net lease payments and the Mobile (AL) Area Water and Sewer could net up to $328 million. In addition, the study estimates $60 billion in net economic value could be generated from state university parking recycling initiatives. For example, long-term parking leases could produce up to $276 million at the University of Georgia, $222 million at Georgia Tech, $192 million at the University of Mississippi, $180 million at Mississippi State University, and $108 million at Southern Mississippi. This money could be reinvested in higher education or infrastructure projects.